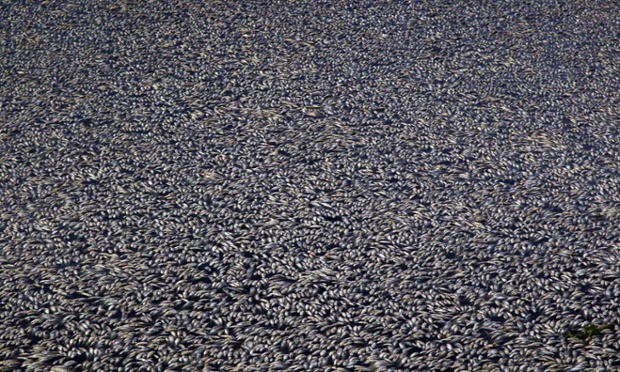 There is currently a trend around the world of mass amounts of aquatic life death. The following is from about 10 days of May 2014. These events are not local to a specific part of the world. It is occurring around the globe. The point of this post is not to debate the cause of the phenomenon. Yes, human behavior is a likely consideration. The point is, this is occurring. The Book of Revelation says it is going to get worse during the seven year tribulation. The source of the ultimate cause is Heavenly. This entry was posted on January 21, 2015 at 8:31 PM and is filed under Blood Red Water/Aquatic Death, Prophecy, Trend Update with tags Dead fish, New York Times, Revelation 16, Revelation 8, trend update. You can follow any responses to this entry through the RSS 2.0 feed. You can leave a response, or trackback from your own site.